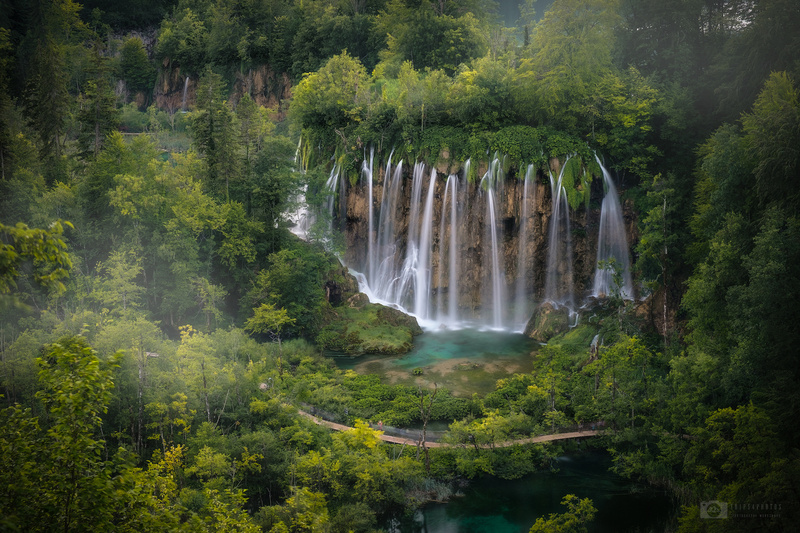 The great waterfall in Plitvice National Park in the green cover on a misty and cloudy day. fantastic shot! I love the fog, the leading underscore lines of the road. I especially love the vignette that draws you in.